Rajasthan University Clerk Syllabus 2017 : Looking for exam syllabus for Rajasthan University Recruitment Exam 2017 ? If yes, you are on the right place to collect your information. 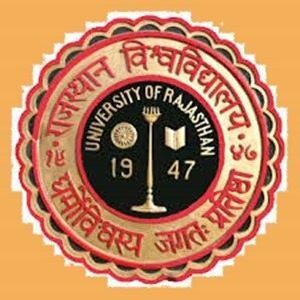 Recently, the University of Rajasthan, Jaipur has released a fresh recruitment advertisement for 190 posts these are Jr. Clerk, Assistant, Bearer, Herbarium, JTA, Book Attendant, Registrar & Other posts. After completion of registration process, RU will conducting the future recruitment process to filter eligible candidates from the list of applied for post. All those candidate, who want to get a permanent Job in Uniraj, must check RU Non-Teaching Staff Syllabus & Exam Pattern 2017 to get more other than. Written test syllabus & pattern is most important thing and it is compulsory to check before start exam preparation. To start exam preparation download & follow the detail of Rajasthan Non-Teaching Syllabus and Exam Pattern 2017 details. Candidate may check procedure of selection, exam pattern, syllabus guide, syllabi topics, in below details. Organization Name : University Of Rajasthan. Abbreviation As : RU, Uniraj, Rajasthan University. Name of Examination : Rajasthan University Recruitment Exam 2017. Total Vacancy : 190 vacancy. Name of Post : Jr. Clerk, Assistant, Bearer, Herbarium, JTA, Book Attendant, Registrar & Other posts. RU Clerk Jobs Registration Dates : 04.01.2017 to 03.02.2017. Uniraj Jobs Exam Date : Notify Shortly. Rajasthan Non-Teaching Syllabus and Exam Pattern : Available. Rajasthan University Official Site : www.uniraj.ac.in. The candidates, who are not applied for Rajasthan University Recruitment 2017 and plan to apply for more than one post. To be advised that, check pose wise selection criteria as like age, education, selection from here, before Apply online. RU Clerk/ Lab Assistant Exam Syllabus 2017 and post wise recruitment process given below. 1. Junior Clerk [Clerk Grade -2 ] : Mode of selection will be on the basis of written test. 2. Lab Assistant : Written test will be held to selects candidates on lab assistant post. 3. Lab Bearer : Written Test : Written test at the level of B. Sc. course. 4. Herbarium Assistant : Written test at the level of B. Sc. course. 5. Junior Technical Assistant : Written test at the level of graduation. 6. Book Attendant : Written Test at the level of 12th standard and Lib. Science certificate/ Diploma course. 7. Electrician/Wireman : Mode of selection will be based on performance of written test. Written test at the level of 10th standard. 8. Additional Registrar : The selection will be based on the performance of the candidate in interview. 9. Controller of examination : The selection will be based on the performance of the candidate in interview. 10. Deputy registrar | Assistant Registrar | Legal Assistant | Cartographer | Manager, University Guest House : The selection will be based on interview only. In case the number of applicants are very large than written test will be conducted for shortlisting the candidates for Interview. Candidates for Personal Interview, will be called in ratio of 10:1. Candidates may also check the RU Non-Teaching Staff Syllabus & Exam Pattern 2017. Mode Of Selection : By Written Test Only. 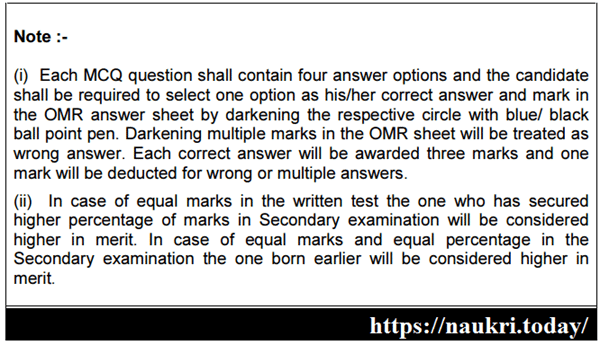 If in case the number of candidate obatined equal marks in written test, merit list be prepared on 10+2 marks. If equal marks is same than higher age candidate will be considering for merit list. Note : 1 – Pass Computer typing test before confirmation and annual grade increment. Mode of Selection : Written Test Only. 1st Paper Duration will be 02 Hours and 02nd Paper Duration will be : 03 Hours. Mode of Selection through Written Test and the duration of the examination will be 03 hours. A. Physics : 50 Questions carry out 150 Marks. B. Chemistry : 50 Questions carry out 150 Marks. C. Maths or Bio : : 50 Questions carry out 150 Marks. Mode of selection will be written test and level of recruitment test will be of B.Sc. Course. Written test will be of 02 parts / papers i.e Paper I & Paper II. a). Hindi : : 50 Questions carry out 150 Marks. b). English : 50 Questions carry out 150 Marks. a). Botany & Herbarium : 150 Questions carry out 450 Marks. Mode of selection : Selection will be done through Written Test level of Graduation. Test will be held in two Parts of two paper. Details are below. a). Domain Knowledge of the relevant field : 150 Questions carry out 450 Marks. Mode of selection will be written test. Written test will 12th standard level. a). Library Science Certificate and Diploma Level : 100 Questions carry out 300 Marks. Mode of selection written test of 10th standard. b). General Science : 50 Questions carry out 150 Marks. C). Mathematics : 50 Questions carry out 150 Marks. Candidates must possess good communication, Logical Reasoning, Analytical Skills, Soft Skills and Aptitude from drafting / noting in English & Hindi. Candidates should able to Coordinate with the other division/ departments and participant in discussions and also have able to handle one or more functions related to Educational administration/ Examinations/General administration/ Purchase/ Establishment/ Accounts & Finance/ Project & Planning/ Research/ College Administration/ Management/ HR/Legal. If you want to get more detail about for Rajasthan University Recruitment Exam 2017, download Rajasthan University Clerk Syllabus 2017 pdf. Mode of Selection : By Interview and may be Written Test. If number of candidate high for interview, than written test will be held by University of Rajasthan. Test will be held in two Parts of two paper. Paper 1st duration will be 02 hour at while Paper 2 will be 03 hours duration. Test patter scheme is below. (i). Verbal and Communication Ability in English : 50 Questions carry 150 Marks. (ii). Verbal and Communication Ability in Hindi : 50 Questions carry 150 Marks. Paper –II : Interview : 150 Marks. (i). Mathematical Ability : 50 Questions carry 150 Marks. (ii). General Awareness : 50 Questions carry 150 Marks. (iii). Logical Reasoning and Data Interpretation : 50 Questions carry 150 Marks. Phase –II : Interview : 150 Marks. (i). Legal Aptitude : 100 Questions carry 300 Marks. (ii). Logical reasoning and data Interpretation : 50 Questions carry 150 Marks. Mode of selection will written test and interview based. (i). English : 50 Questions carry 150 Marks. (ii). Hindi : 50 Questions carry 150 Marks. (i). Geography & Cartography : 150 Questions carry 450 Marks. (i). Hotel Management: 50 Questions carry 150 Marks. 2nd January 2017, University of Rajasthan published a latest Rajasthan University Recruitment Exam 2017 Advt. for filling 190 (Jr. Clerk, Assistant, Bearer, Herbarium, JTA, Book Attendant, Registrar) vacancy. Uniraj starts online registrations from 04.01.2017. Candidates, who have not applied yet may complete their application form till 03.02.2017. A large number of candidate showing their interest in RU Clerk Jobs 2017. 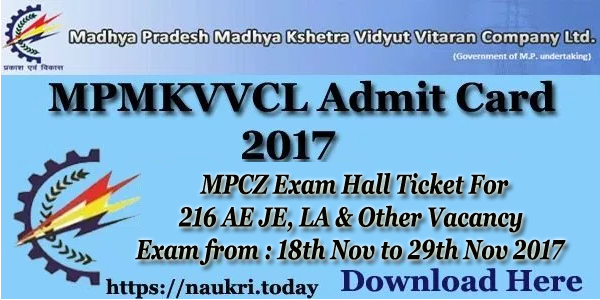 Candidate have to download Rajasthan University Clerk Syllabus 2017 pdf to start exam preparation because, all know that written examination is the main part of selection. If you got good marks in written test, you have golden chance to get selection in Rajasthan University Recruitment 2017. Rajasthan University Clerk Syllabus 2017 is available to check here. Scheme of selection, pattern, important topics details are given below. Read this page carefully and it want to read this page again, bookmark in your favorite Brower by pressing the CTRL+D button. Let’s check the selection process in RU Clerk/ Lab Assistant Exam Syllabus 2017 and here. 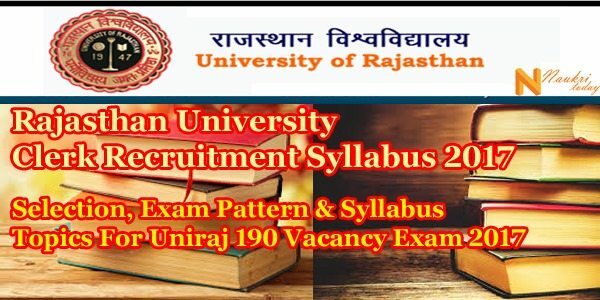 Rajasthan University Clerk Grade 2 Syllabus 2017 along with exam pattern is available on uniraj official portal. Candidates, who have checked out the detail of exam pattern given as above may also check important topics of RU Clerk/ Lab Assistant Exam Syllabus 2017. Conclusion : University of Rajasthan published Rajasthan University Clerk Syllabus 2017 on its official site. Rajasthan Non-Teaching Syllabus and Exam Pattern for Rajasthan University Recruitment Exam 2017 for 190 RU Clerk & other Jobs.